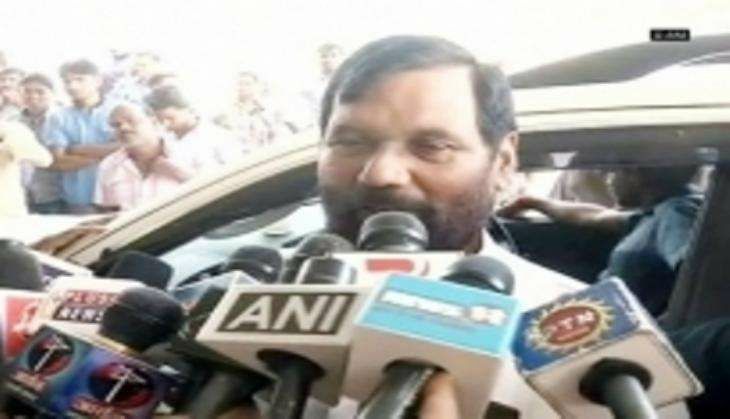 Union Food and Public Distribution Minister Ram Vilas Paswan today backed Prime Minister Narendra Modi after the opposition cornered him over the government's demonetisation drive and said those who are playing with the sentiments of the downtrodden owe an apology to the nation. Paswan hailed Prime Minister Modi's efforts towards demonetisation and slammed the opposition parties for creating unwarranted ruckus in the Parliament. "Why will the Prime Minister apologise? Has he done any wrong? Those who are playing with the sentiments of the poor and downtrodden should apologise. Modi ji is on the right path," he said. In a virtual washout of its proceedings, the Lok Sabha was today adjourned for the seventh consecutive day with the opposition parties vociferously protesting Prime Minister Modi's dig at their protest against demonetisation and demanding an apology from him. The opposition members raised slogans asking the Prime Minister to speak on the demonetisation issue inside the House instead of taking potshots at his critics outside the Parliament.